I love a good story! There is almost nothing that brings me joy as much as a good story. And, if a story has characters that look like me, then I am really completely overjoyed. However, I must admit that I will give almost any book a try. Chronicle of a Death Foretold was recommended to me, and of course I love a good story, so I gave it a try. Gabriel Garcia Marquez is a Latin American writer and his most famous books are One Hundred Years of Solitude and Love in Time of Cholera. (I loved Life in the Time of Cholera.) 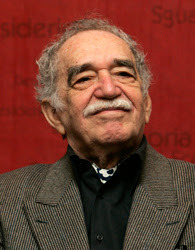 Gabriel Garcia Marquez is considered to be one of the most significant authors of the 20th century. 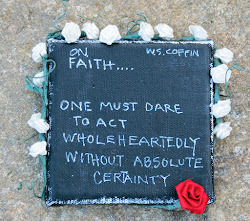 He was awarded the Nobel Prize in Literature in 1982. He pursued a self-directed education that resulted in his leaving law school for a career in journalism." So, without a doubt, this man is incredible. I went into this reading of Chronicles of A Death Foretold with an open mind, but I knew something was wrong when I started to read it, because I had to force myself to pick it up again the next day. I didn't read it for a few days, and when I tried to pick up where I left off, I couldn't remember what I had read before; therefore, I had to start over. In any situation that is not working, I always try and make sure that I am not the problem. In my current life coaching class with the wonderful, magnificent Iyanla Vanzan and Robert Pruitt, I came to the realization that many times people will "produce worthlessness in their lives and make it about something or someone else." So, with this book, I decided to make sure that my mind was not preoccupied with other things, and I was giving this book a fair shot. So, I tried reading this book again from the beginning, and I must say that this is a book did not speak to my heart. It didn't leave me excited or even make me want to go out and tell others about it. I was really relieved when I was finished so that I could get back to the business of reading something that I really enjoy and that speaks to my heart. 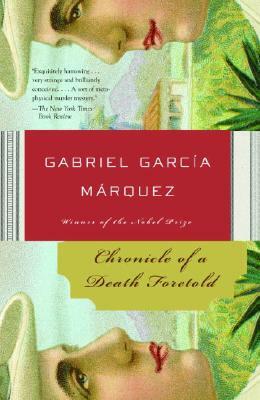 The plot of Chronicle of a Death Foretold "revolves around Santiago Nasar's murder. The narrator acts as a detective, uncovering the events of the murder second by second. Literary critic Ruben Pelayo notes that the story unfolds in an inverted fashion. Instead of moving forward... the plot moves backwards. In the first chapter, the narrator tells the reader exactly who killed Santiago Nasar and the rest of the book is left to unfold why." I normally love books that tells the reader what happens and then spends the rest of the book telling why, but this book had a lot of characters that did not seem to be important, and even when I found out why Santiago was killed, I did not feel like WOW, I felt like Ok! So, after identifying that I was not the problem, I came to the conclusion that I do not have to love every book like I am suppose to love everybody. I have the right to say that I did not love this book, but I still think that Gabriel Garcia Marquez is a great writer, but this one was just not for me. I really like how you took this story and REALLY gave a good life lesson based upon your dislike of it!! I totally agree with you and love your great analogy!